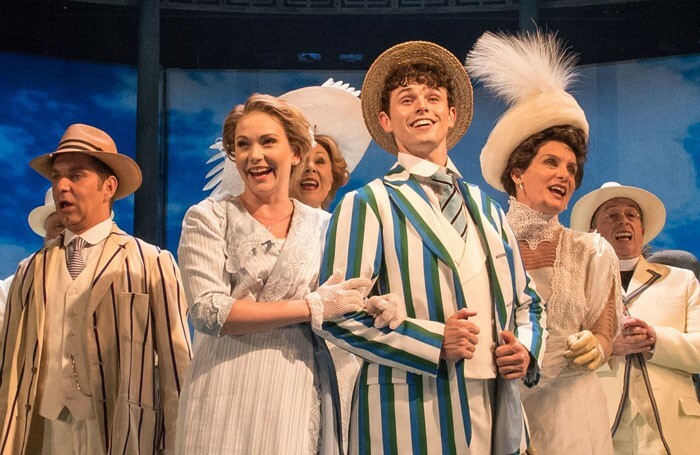 Who's telling the truth about Half a Sixpence casting? Mark Shenton’s week: Who’s telling the truth about Half a Sixpence casting? But now Cameron Mackintosh’s head of casting Trevor Jackson has replied in a letter to The Stage to clarify that casting was indeed open to all, regardless of racial background; but they just couldn’t find the right people to meet the cross-casting demands of the show, with the large number of named roles in it and the need for them to be covered internally. That’s a complete contradiction of Fellowes’ comments. Jackson also goes even further to suggest that actually ethnic artists have even more opportunities than their Caucasian counterparts, and so are rejecting being tied down to long contracts in musicals. I’m not sure what’s worse to be told: you’re not being considered because of your race (as Fellowes suggested was the case); you’re being considered regardless of your race but you’re not good enough; or you’re so good that you’re being flooded with offers that you won’t commit to. Michael Billington recently accused the National of “a staggering dereliction of duty” in neglecting the classic repertory. I’ve already challenged the view that classics are underrepresented, and the current state of play(s) proves it: just last week, on consecutive nights, the National offered Twelfth Night and the Young Vic A Midsummer Night’s Dream, while this week we have Hamlet at the Almeida (opening February 28) and Othello at the Sam Wanamaker (opening March 2). Directed by a younger generation of fast-rising theatremakers (Simon Godwin, Joe Hill-Gibbins, Robert Icke and Ellen McDougall, respectively), they aren’t necessarily traditional takes on those plays, but we are hardly being starved of classics right now. We’re in a funny business – and it’s sometimes odd to be on the other side of the critical fence to people you were once at university with who are now flying high in the West End, Broadway or on film, and whose work you will come into professional contact with. The other day I ran into an actor, now a bit of a telly name and also appearing in the West End, at a private members’ club, where I had gone to talk to a group of students from the National Film and Television School (I’m not a member myself). He affected not to recognise me. Even when I said “Long time, no see”, he just looked straight through me and walked on, unsmilingly. Of course, I may have somehow offended him during the 30-plus years we’ve known each other, albeit only slightly (he once dated someone at the college I went to, so I used to see him a lot back in the day). But I honestly can’t remember. The last time I said hello to him was at a Royal Court opening some years ago, and at least I got an acknowledgement. We can’t all be each other’s friends, and a passing university acquaintance from three decades ago is hardly grounds for intimacy. But I was genuinely surprised by this (lack of) reaction; I don’t need courting, but I do think common courtesy applies, whoever you are and whatever you have achieved. I also went to university with Tim Firth, the writer and co-composer of The Girls, and when I recently interviewed him for The Stage, he acknowledged our shared past at one point. He was talking about his long friendship with his co-writer Gary Barlow, and said to me, “In the same way as us, if you’ve been around people and have been part of each other’s lives for a long time, there are no egos in the room.” Clearly, though, that isn’t always the case.